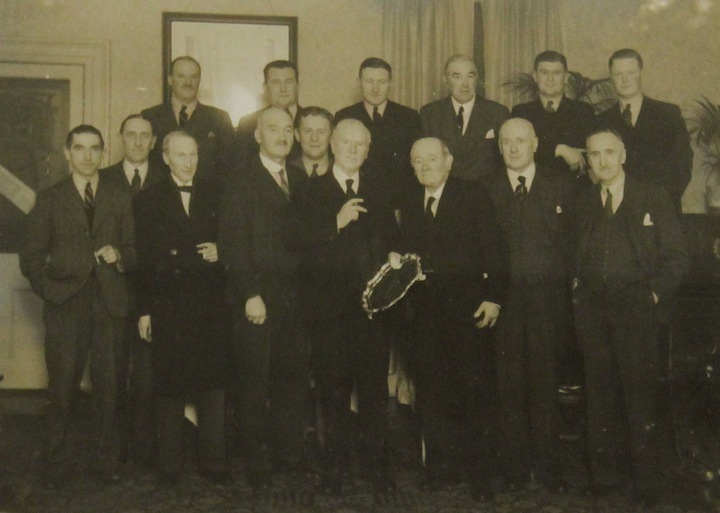 The West Cork Bar Association has a long and proud history. Formed before the First World War, the Association has represented solicitors practising in the geographical area from Kinsale to Castletownbere. When it was originally formed, the Association dealt primarily with the social aspect of meeting colleagues and introducing colleagues to the Court, and as a support network for solicitors in West Cork. During the early days of its formation it was very difficult for solicitors to meet each other, and with petrol rations and restrictions on access to transport as well as the general communication difficulties, there was significant emphasis on ensuring that solicitors in other towns were not strangers to each other. Many solicitors firms were opened in West Cork towns in the late 1800’s and to this day a number of those practices still exist. Some current members of the association are fourth-generation members of the West Cork Bar Association. The earliest record of the West Cork Bar Association in the Law Society of Ireland lists Redmond O’ Regan, Solicitor of Skibbereen as the Bar Assocation’s Honorary Secretary, in 1952. Thereafter, the Association has continued to grow in number and in strength. “It gave them all the greatest pleasure to see the status of their association had been raised by the honours which had been conferred on their fellow member”. Quote by Mr. T. Healy, State Solicitor on the appointment of JT Wolfe TD as the Vice President of the Law Society. “the Solicitors of West Cork were to his mind, the best judges in Ireland of how a Judge did his business, and that being so he looked on the expression as a very singular tribute”. His Lordship went on to extend the opening hours for nine late dances at the Stella Cinema in Bantry from 2am to 3am on appeal!